"So there is great necessity of educating people what is the aim of life. That is Caitanya Mahāprabhu's mission. Therefore He said that bhārata-bhūmite haila manuṣya-janma yāra (CC Adi 9.41). He was appealing to the human being, those who are actually human being, not to the cats and dogs. He was appealing to the human being that 'You study the contribution of the great sages and make your life successful and go outside, preach this mission.' That is going on, under the name of Kṛṣṇa consciousness movement. It is not a sentimental movement. It is a scientific movement. Mumukṣavo ghora-rūpān. We are therefore restricting not to worship any other. Therefore when I started this mission many friends advised me, 'Why don't you make it "God Consciousness"?' This is bogus, God consciousness. 'Kṛṣṇa consciousness.' Otherwise, they'll put so many gods: 'Here is another god, here is another god, here is another god, here is another god, here is another incarnation, here is another avatāra,' all nonsense. 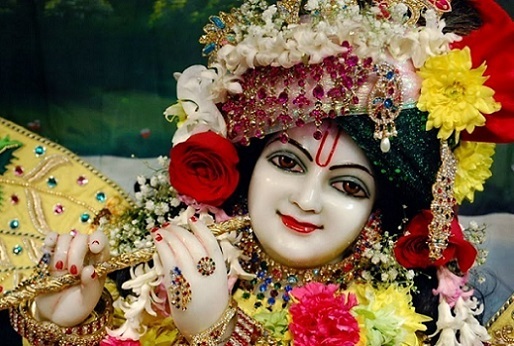 Place actual who is God: kṛṣṇas tu bhagavān svayam (SB 1.3.28). Nārāyaṇa-kalāḥ śāntāḥ. So try to understand our mission. Here it is said: we have to accept the Supreme Personality of Godhead. Kṛṣṇa also says, sarva-dharmān parityajya mām ekaṁ śa... (BG 18.66). 'Unto Me only. Then you'll be saved.' Otherwise you'll go to hell. So this mumukṣavo ghora-rūpān, we don't advise that you..., either you worship Kālī, or either you worship Śiva, either you worship..., 'Oh, it is all the same. Yata mata tata patha.' We don't speak all this nonsense. We simply say, 'Come to Kṛṣṇa. Then you'll be saved.' "